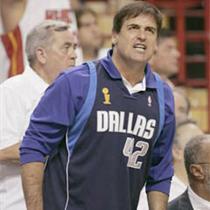 Mark Cuban, slides in and out controversy, (as well as in and out of different business ventures). His ability to weasel his way out of difficult situation reminds me of Aaron Eckhart's character in Thank You For Smoking. 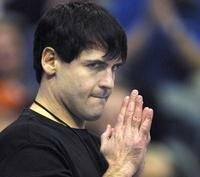 Mark Cuban is the creative tech billionaire, crazy investor, movie shaker-upper, and verbose and often fined Dallas Mavericks owner. Mark Cuban and Christopher Carey's first victim, Xethanol Corp. (XNL) posted on August 7. Shareslueth criticizes shareholders like William Scott Smith and other with former SEC disciplinary problems. The post also claims that Xethanol makes energy claims are fabricated and embellished. Is what Cuban is doing here legal? For now, yes. There's full disclosure. If anything I would foresee libel cases down the road, but not Insider Trading lawsuits. Mark Cuban even responds to some of these thoughts on "responsible journalism" on his own blog, blog Maverick. Cuban is smart and sneaky, and not necessarily an admirable person, just an interesting one. And I'll be interested to if nothing else continue to watch the films out of Magnolia Pictures (like Bubble, Enron: The Smartest Guys in the Room, Capturing the Friedmans) and films produced by 2929 entertainment (like Good Night, and Good Luck). 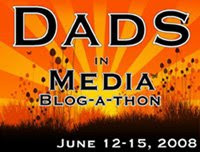 Update: See Editor Chris Carey's response to this post here. He is one ruthless dude. Does this man have a family or anything in his life to encourage a little humanity? This whole concept is a disgrace to the field of journalism...he cannot even call this journalism. This is capitalism. journalism is capitalistic at its core. it's been that way for the last fifty years. although cuban's taken it to new levels. Cuban seems to always be wanting to push the limits and test the waters. It will be interesting to see how this progresses. He has obviously put a lot of thought and planning into this; he is a very intelligent man. I can't tell if he's crazy or brilliant...or both..
Hes using his power to make some dough. Hey hes smart. He is the king of short selling stocks. His options on Yahoo stock made him the billionare he is today. Anways this story reminds me of another story. Back in the day without internet, radio, good phones, and proper newpaper distribution there used to be people who would find the 1st drop off stop for the Wall Street Journal (Might have been a diff paper). They would take the paper and be the first people to trade the stock before everyone else saw this important news. The first person would make a killing by shorting or buying stocks depending on the news while selling the shares later in the day. When the SEC was warned about this, it became illegal and measure were placed to stop this from happened. If he departs from any truth during these news clips of his it will be highly illegal. He can give his opinions and thats fine, but any more than that and He better start getting used to orange jumpsuits.